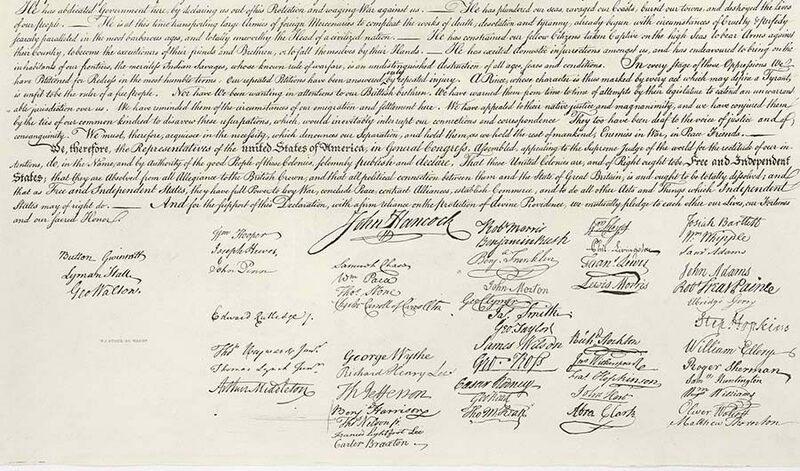 Founding fathers' signatures on the Declaration of Independence. All great things are accomplished through hard work, and there is no better example of that than the one set by America's founding fathers. All great nations are built on hard work. Whether the nation was large, small, evil or just, there was always a group of hardworking founding fathers there to start it all. But just how necessary to be successful is hard work? Many of the United States founding fathers knew determination and hard work to be necessary to live alone. Let us get things straight — the harder you work the more power over your own life you have. The harder you work, the more you can begin to influence people’s opinions. The harder you work, the happier you will live. If you ever see a person you admire that is truly happy, ask yourself one question: What did they do to become so successful? Whatever they did, they worked hard at it. They lived it, breathed it, and bled it through all of the difficult times. Benjamin Franklin had an important aphorism, “Dost thou love life? Then do not squander time, for that is the stuff life is made of.” In modern-day terms, this means if you love life do not waste any time, because life is made of time. Think you are unlucky or fortunate? Think again. Thomas Jefferson once said, “I’m a great believer in luck, I find the harder I work the more I have of it.” Thomas Jefferson knew what got him to be so famous and important in America. Luck all comes down to hard work. Being smart is recognized as a natural talent in this day and age. Many people do not recognize that to be smarter, all you have to do is work harder. “People sometimes attribute my success to my genius; all the genius I know anything about is hard work,” Alexander Hamilton once said. Many people fall short in life wanting to know why they could not just be smarter. Their real problem is how hard they work.